"Don’t call it a comeback, I've been here for years." For nearly two decades, the Japanese automaker’s compact sedan has held the champion's belt in its segment. Though on a hot streak that has largely gone undisputed, the competition has been growing more intense by the minute. The Toyota Corolla and Hyundai Elantra have the Civic deep in their crosshairs, but Honda isn’t quite ready to give up the belt just yet. 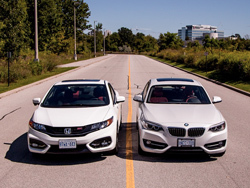 Personally, the Civic lineage has played an important role in my life. I have fond memories of going to the Honda dealership with my parents and having the opportunity to pick out a fifth-generation Cypress Green Pearl Civic as our first car. Fast forward 18 years later, and the car is still ticking at over 275,000 kilometres without ever missing a beat—a testament to the reliability of these sedans and why they sold and still continue to sell so ridiculously well. 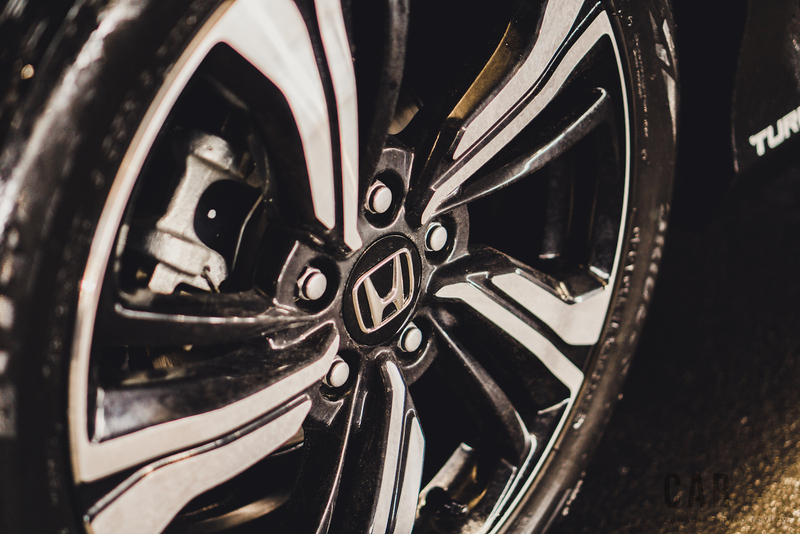 Part of the reason behind dishing out 60,000+ units each year is that Honda is one of the few companies who actually listen to their customer’s wants and needs. 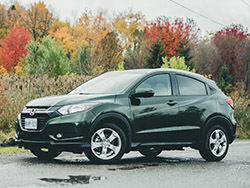 When some owners complained about the exterior looks, interior features, or any nitty gritty details, Honda would quickly revise the model for the year after. But for 2016, the Civic is entering its tenth generation. 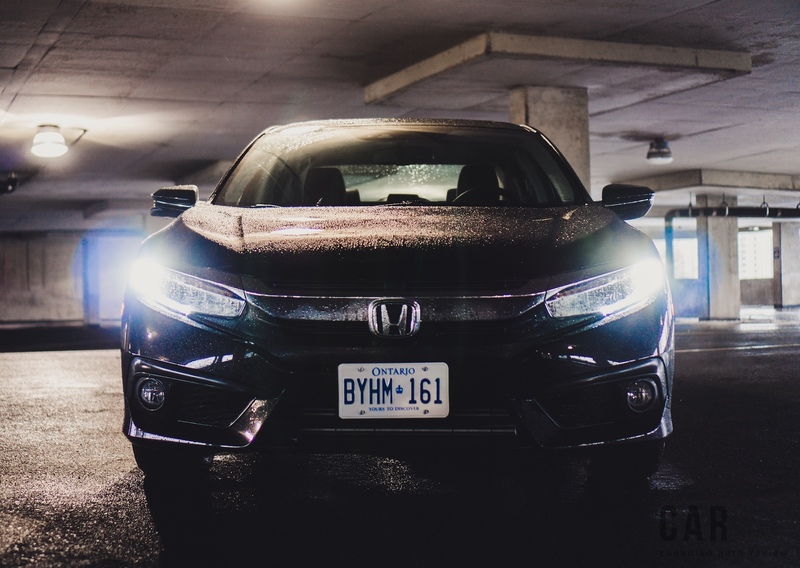 Not many vehicles reach this double-digit milestone, but Honda has finally perfected the formula that goes behind one of the world’s most iconic sedans. Forget what you know about the Honda Civics of the past, this new one has been redesigned from a clean slate. Just take a look at the sharply angled, wider stanced exterior. Additionally, that sloping rear roofline gives off a coupe-like profile and those opting for the Touring trim will receive HID bi-xenon headlamps with LED daytime running lights (the fog lights however are halogen units). Gone are the door panel mounted side mirrors and extra A-pillar windows, and the body now has more lines heading from bow to stern, carving out each thought from the engineers who brought this car to life. 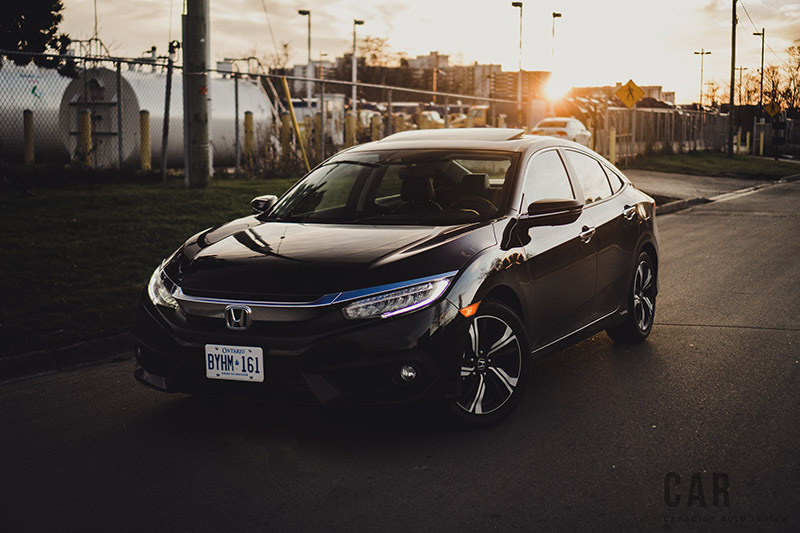 We don’t agree with our Civic’s Crystal Black Pearl exterior paint though – it muffles and hides the body’s curves, which results in a blander look. Heading for brighter colours like red, white, or blue will ensure that you don't mitigate any of the gorgeous craftsmanship. Get inside and you’re immediately met with a completely redesigned interior. 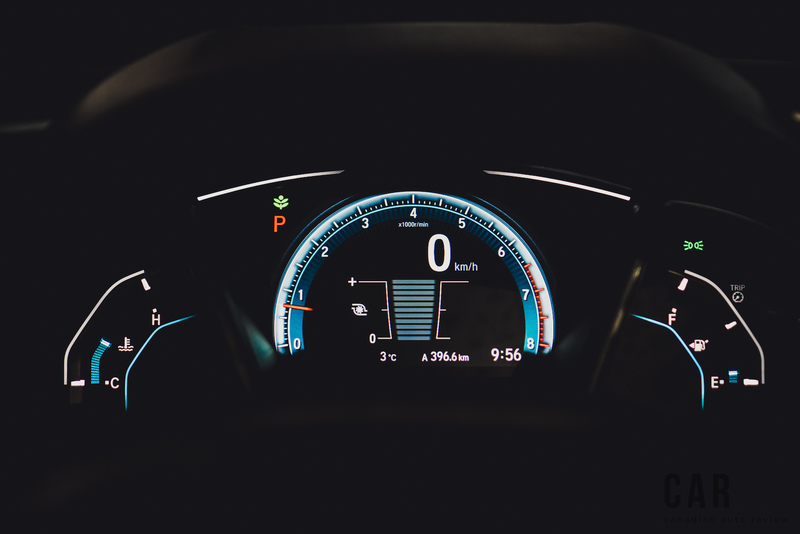 Remember that digital speedometer that used to be placed so high up on the dash that neighbouring vehicles could tell how quickly you were going? Well that’s gone and replaced by a new single-tier gauge cluster that consists of a digital screen. It even comes with a boost gauge! 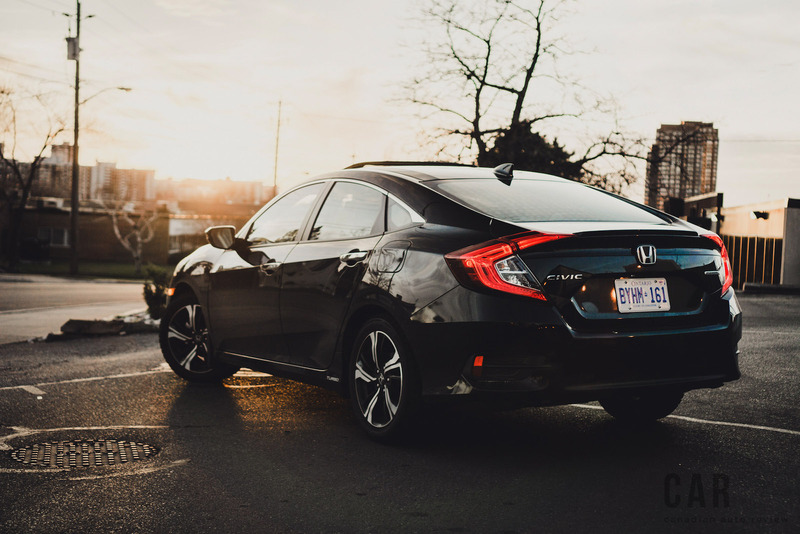 Decked out with leather appointed surfaces, soft touch plastics, and a tighter overall finish, the new Civic keeps the driver guessing whether or not they’re in a car with a bigger price tag. 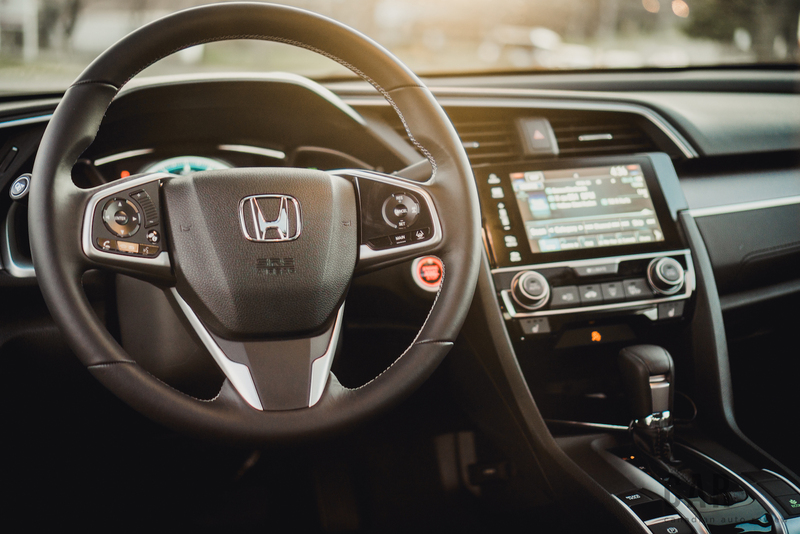 Most notably, the new Civic comes equipped with an improved 7-inch screen that is responsive, intuitive and comes with Apple CarPlay and Android Auto. Unfortunately it doesn’t come along with any hard buttons - scrolling up and down for audio can get quite frustrating, especially when the slider is way too sensitive to touch. 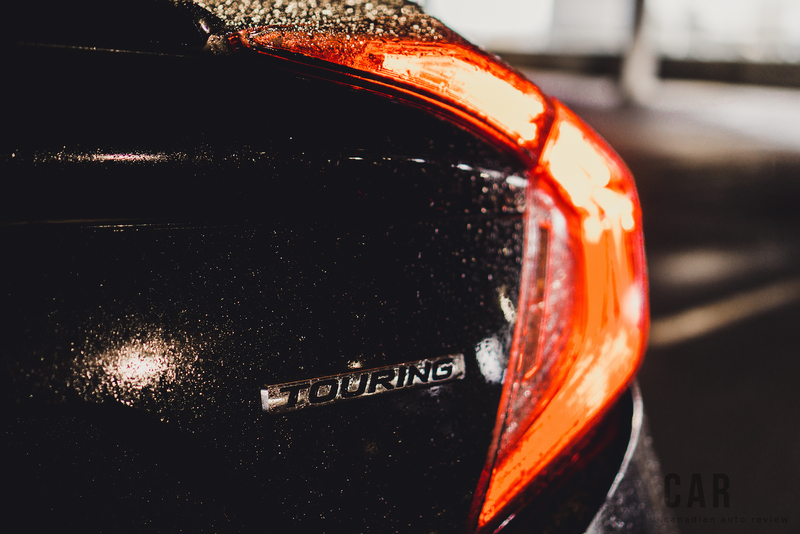 Our Touring model came equipped with a few extra goodies like remote engine start, dual-zone climate control, and a wireless phone-charging pad to ensure your phone doesn’t die. 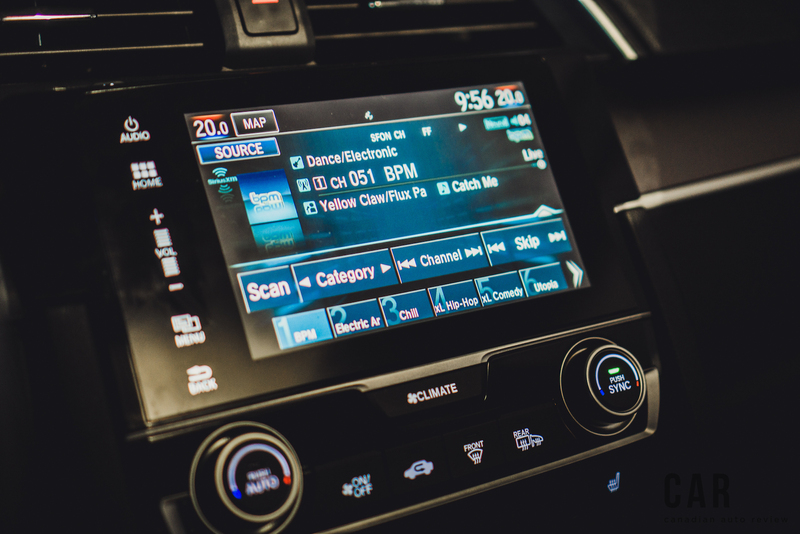 The 2016 Civic also receives updated navigation software that is a vast improvement over previous units. Trunk space has been also carved out to 427 litres, helping the Civic to achieve one the best cargo space specifications in its class. However, the Touring model does offer less space at 416 litres due to a subwoofer that sits underneath the rear decklid. A note on the subwoofer: during loud bass playing, the woofer emitted an echo that surrounded the cabin and created a slight tinny noise. 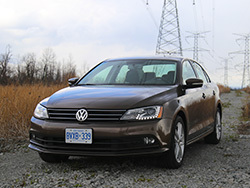 The new car can be had with your choice of three powertrains. The lower trim models are equipped with a naturally aspirated 2.0-litre motor, available in manual or automatic, while the top tier EX-T, EX-L and Touring models come with the all-new 1.5-litre turbocharged 4-cylinder that pumps out a healthy 174 hp @ 5,500 rpm and 162 lb-ft. @ 1,800-5,500 rpm. 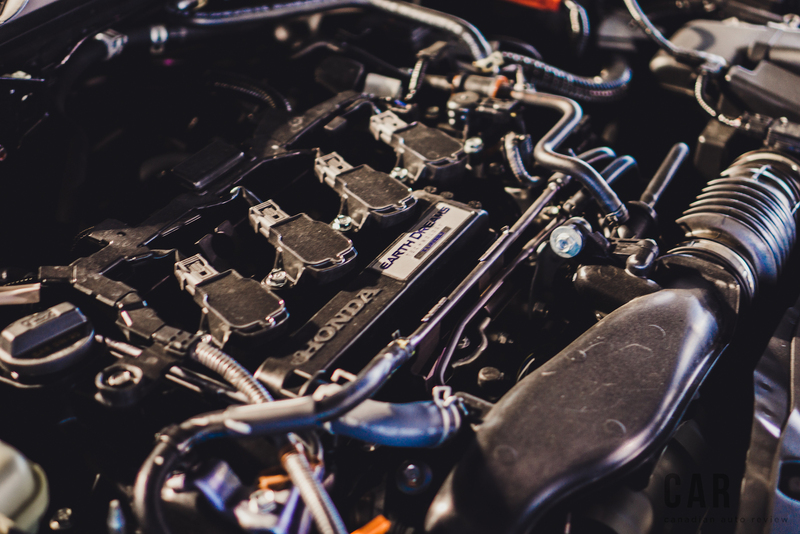 Honda has brought the Civic in line to take down other competitors like the Jetta and the Mazda3 by offering a turbocharged motor that peaks at whopping 16.5 psi. 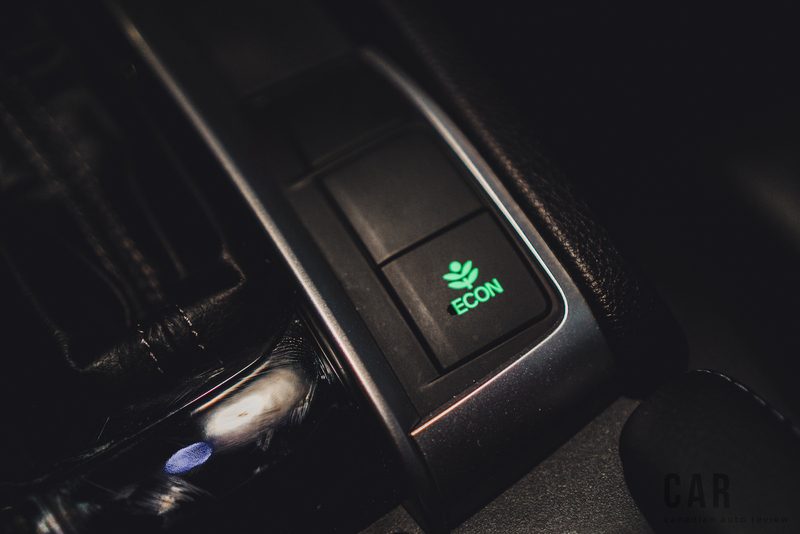 The higher trim models can only be offered with a CVT automatic for now but rumours are circulating that a manual transmission for the 1.5-litre will be available very soon. The driving experience of the new Civic, while not exactly biblical, is quite enjoyable. It is very light on its feet and stays flat during high speed cornering. There are no surprises that stem from the chassis, understeer is kept under control, and steering is very predictable and light. The Civic did feel quite lethargic starting off the line though with noticeable turbo lag. However, once the car gets rolling and the RPMs shoot up, the lag disappears. Before you know it, you’ll be quickly exceeding the legal speed limits. 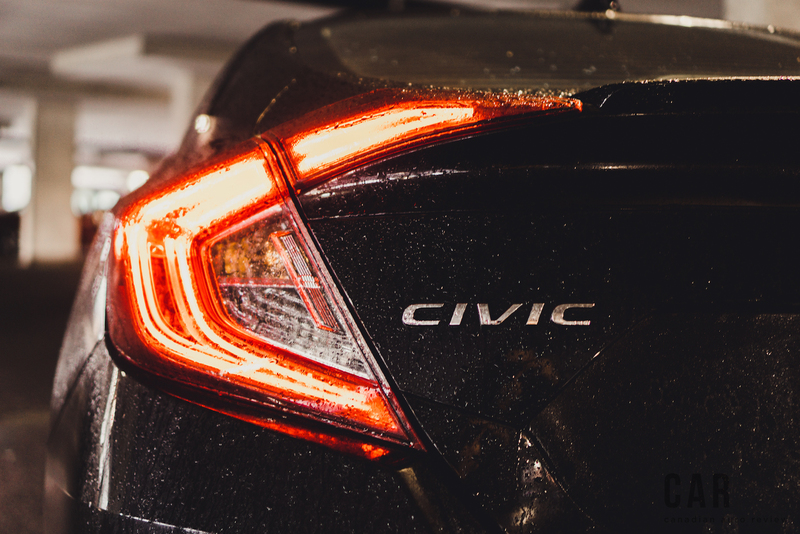 As fun as it is to have the Civic in its peak power range, keeping the car there will quickly drain the tank. Luckily, both motors only demand cheap regular-grade fuel. Pricing for the Civic starts at around $16,000 for the base model. 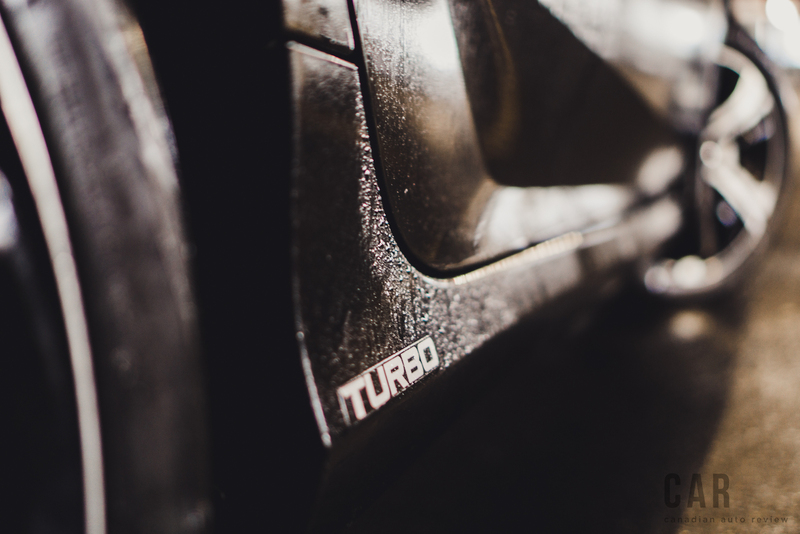 The turbo motor can be had in the EX-T model for $24,990, while the fully kitted out Touring package is offered at $26,990. This undercuts both the Mazda3 GT ($28,000) and the Volkswagen Jetta Highline ($27,995) giving buyers exceptional value for their money. Honda is hoping to align their lucky stars with this tenth-generation Civic, and it will undoubtedly carry them all the way to the bank. 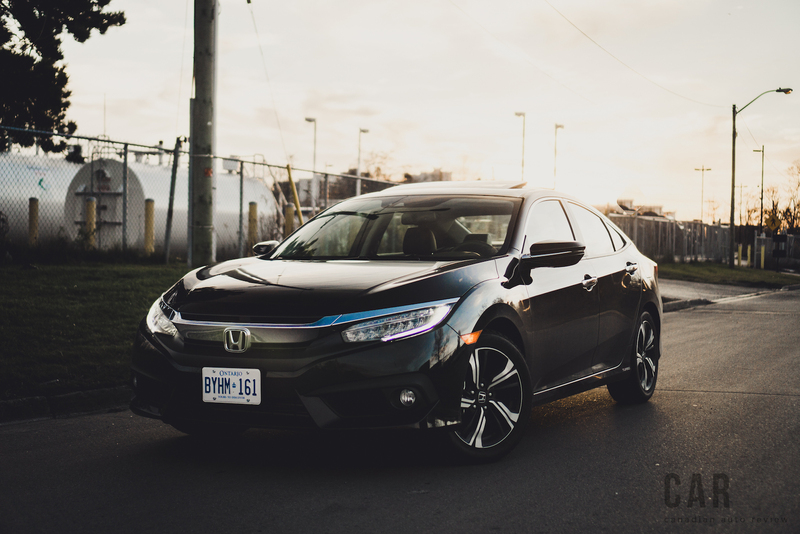 The Civic is standing its ground in the ultra-competitive compact sedan market, and I wouldn’t be surprised if it keeps its belt for another few decades. The last few years have seen a conservative and may I be frank, bland, Civic, but this year Honda has finally come out swinging. The reigning champ will not go down without a fight.